Ohh guys, the urge to redo everything in my house is REAL strong right now. We're going to hit the 5 year mark this summer & I'm just ready for a change. Our current place is a bit wonky in the layout & it doesn't really allow me to change things up without completely buying new furniture & that is so unrealistic right now. Also, if we really are planning on moving sometime within a year (or never because the housing market out here is a nightmare), there is ZERO point in buying new things...well big pieces at least. So for now, I'll stick to making small changes like adding plants & knick knacks. 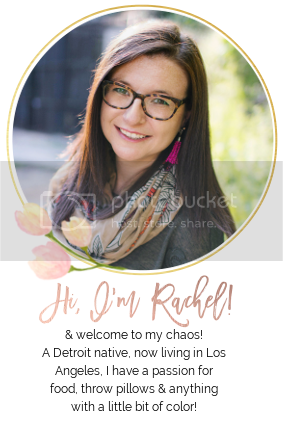 I've never really known how to describe my style when someone asks because I don't fit into a certain box, which is funny because at my job, I make people fit into certain boxes. I like to mix a little mid century with a little boho with a giant splash of color & a side of flea market. If you can come up with a name that encompasses all of this that sounds better than midbocolorflea, please do share. The one look I've never been super into is the farmhouse chic or neutral everything that is currently EVERYWHERE. I blame Chip & Johanna. When everyone was losing their minds over their new Target line, I was still hanging back in the Threshold & Nate Berkus. Shiplap just isn't for me & I don't want white everything. So my new crush has me actually quite surprised. I also stumbled across a lot of DIY versions of these chandeliers. So that is something I'm definitely going to look into! 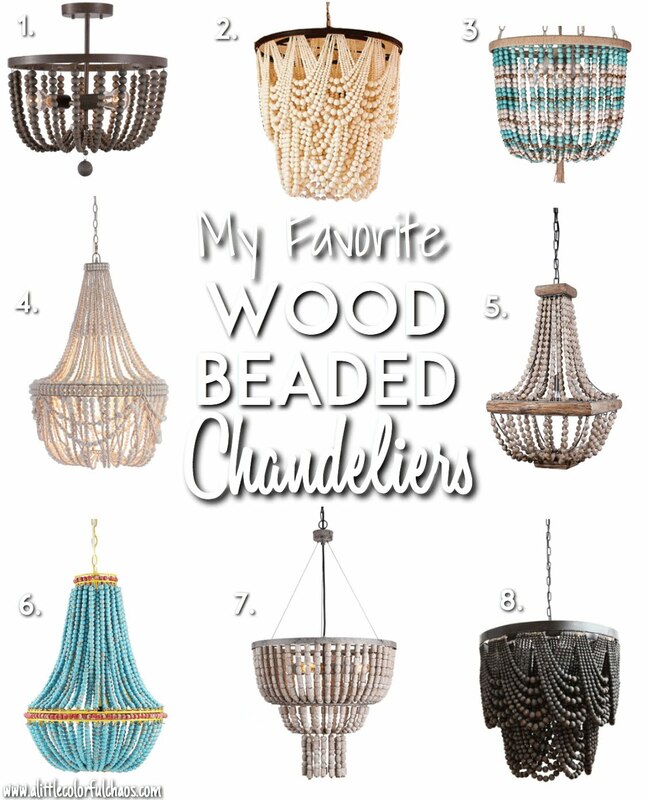 In the meantime, for those less crafty, but looking to spice things up...check out my top 8 wood bead chandeliers.